The Sims Mobile is a free simulation game available on Android or iOS. It is part of The Sims series, one of the most popular series of games ever. 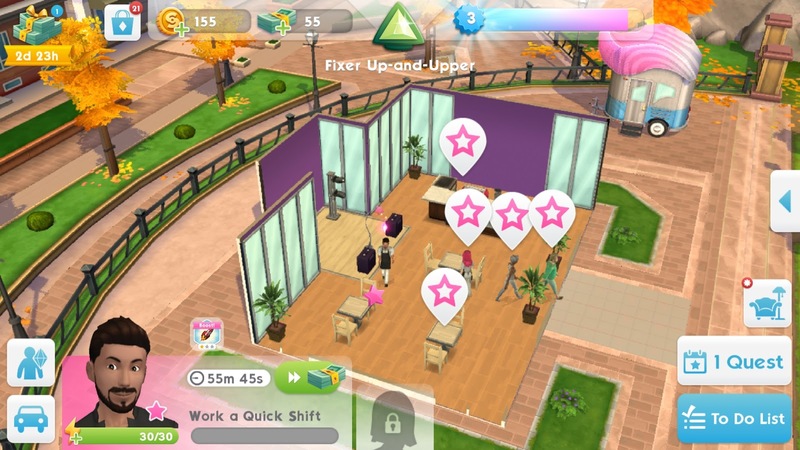 In The Sims Mobile, you have just moved to a new town and are looking for a job. You become a barista at a local cafe. The point of the game is to make your sims have a happy life. One difference from other sims games is that you don't need to tend to their every need. In other sims games you have to make sure they are happy and well-fed, but in this game you just have to make sure they have a great time. 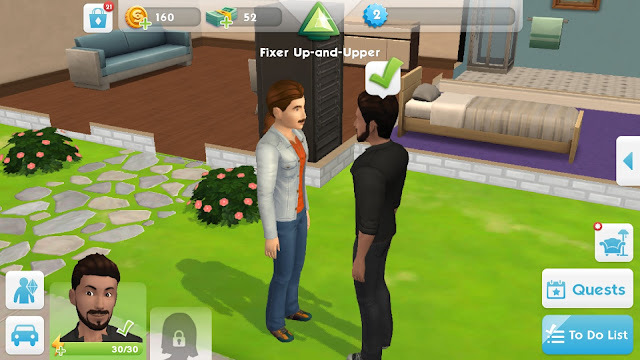 One of my favorite features of The Sims Mobile is the job system. You begin the job as a level one ___. You work the job more and more, and end up as the highest level ___ you can be. Once you start the shift, you can speed the shift up by completing actions, such as making coffee, giving people the coffee, and cleaning the tables. There are also risky actions your sim can do after completing a certain amount of other actions. If you do the risky action correctly, you get a massive boost to the time left. If you fail, you get barely any points, and won't be able to take a risk for a little while. This game is one of my favorite mobile games because it has so much you can do in it, and it has a job or event for everyone.